In a dramatic policy change, Student Discipline Formation Office (SDFO) Director Michael Millanes confirms in an interview with The LaSallian the abolition of the dress code for students effective Academic Year (AY) 2019-2020. The decision materialized after closed-door deliberations of the Student Handbook Revisions Committee were held with various University stakeholders. This is not the first time DLSU repealed the policy. In 2005, the code was left out during handbook revisions. After a three year “trial run”, it was reinstated in AY 2008-2009 due to repeated incidents of students wearing light clothing such as sleeveless undershirts, flip-flops, and pajamas on campus. Currently, Section 5.3.3.37 of the DLSU student handbook states that students are “encouraged to use attires that consider the educational character of the University.” Specific restrictions are also listed down and illustrations are placed on campus gates. The student handbook also asserts a “no compliance, no entry” rule for the dress code policy. Violators of the policy incur a minor offense. However, the implementation has remained inconsistent. Some students are able to enter campus even if they visibly violate the policy. Students voice out that clothing violations are also subjective and can depend on personal assessments of security guards and discipline officers. Along with uneven implementation, the main argument for the policy’s repeal is the “anti-student” nature of the policy. 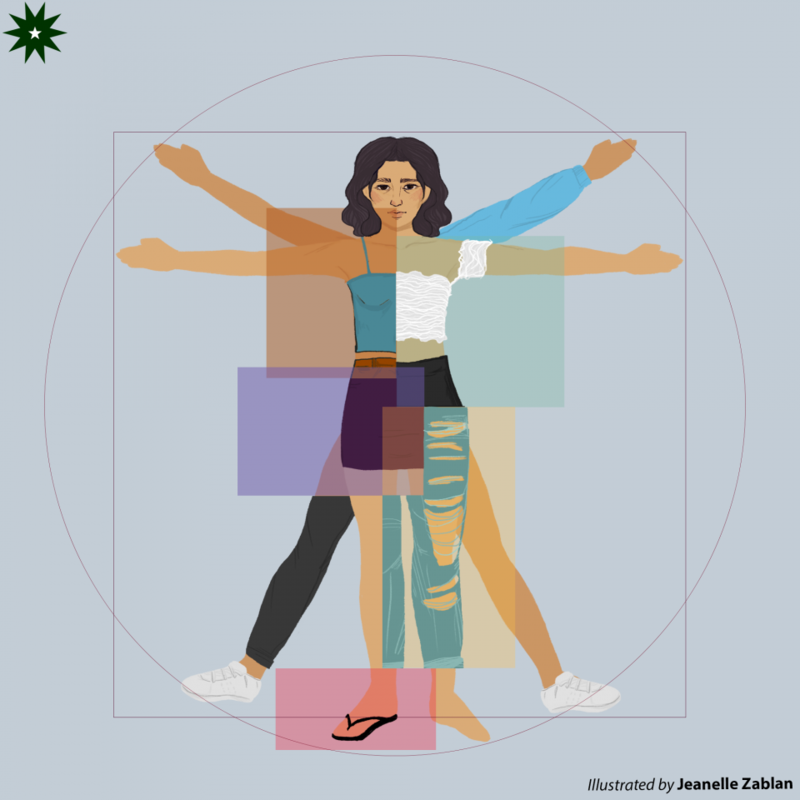 University Student Government (USG) Chief Legislator Stella Santos says that the dress code withholds from the students the freedom to express themselves, especially women and members of the LGBTQ+. “I think one of the best implications of this policy, is that girls, for one, are no longer repressed from wearing what they want. They’ll be able to attend the classes that they paid for,” she states. Santos shares that revisions almost broke down after prolonged arguments on the proposal’s wording, with the assembly being split into two factions: one demanding a “strongly-worded proposal” and one preferring a more mellow proposal. “We eventually decided on a strongly-worded proposal with mellow characteristics,” she explains. Despite heavy objections from administration figures, the proposal was accepted by a “slim majority”, Santos claims. Inclusion of policies such as semi-formal Fridays and discounts for students who can wear full suits reportedly helped sway University officials in the closed-door meeting. Millanes believes that the “invisible hand” will encourage students to dress up smartly on their own. “Say, give people a 10 or 20 percent discount for milk tea [if they dress professionally]; many of them will accept the trade-off. The physical order of the campus is a harmonious and self-regulating system,” the SDFO director argues. Security Office Director Renato Baliong explains that security officers around campus will be instructed not to screen for dress code violations anymore once the new handbook takes effect. “At least, hindi na din mahihirapan ‘yung mga guards na mag-screen para sa mga violations na naging issue din dati,” he comments, referring to the inconsistency of the screening process. Andy Lim (III, BS-AEC), an avid gym goer, welcomes the policy, stating, “I won’t have to change na when I go to school from Gold’s [Gym].” Andrew Fordesven (III, BS-AEC), also a patron of Gold’s Gym, explains his reservations. “Sana naman at least, people bring a towel and disinfectant para punasan ‘yung pawis nila sa mga upuan at sa mga surface. Keep your precious bodily fluids to yourself,” he complains. Bench Ong-Go (IV, BS-MS CHE) welcomes the change, exclaiming that he would not need to trouble himself every morning with choosing an appropriate attire. “I’m very happy because I can just wear my pambahay to school now,” he says. Despite the mixed response, Millanes is confident that students will warm up to the new policy. “Students wear almost anything these days. At least they can be as fashionable as they want now,” he concludes.